» Canada Goose vs The North Face (2019 UPDATED) – Which Winter Jackets are Better? When it comes to outdoor winter activities, like polar expeditions, the one area you absolutely do not want to cut costs is apparel and footwear to keep you warm and dry during the extreme cold. 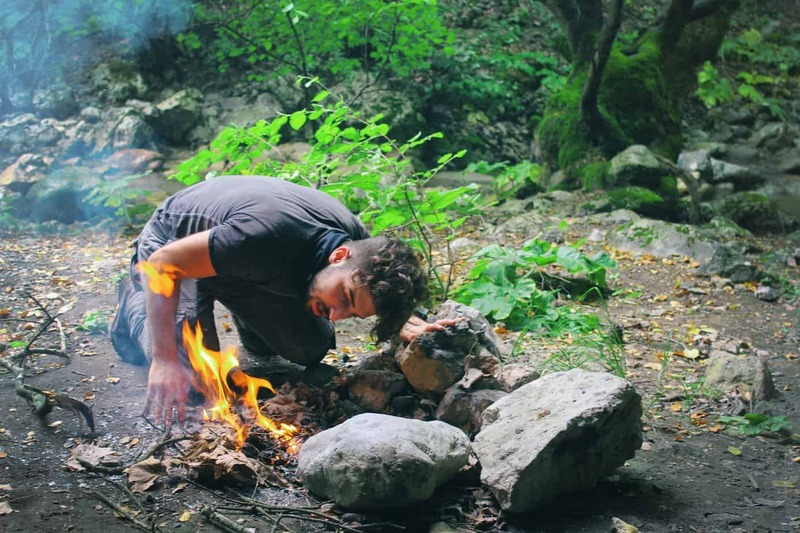 The clothes and boots you choose to wear and bring in your camping equipment should be purchased based on their usability and warmth, first and foremost. Heading outside in bitter winter conditions without the proper gear will at best be uncomfortable and far from enjoyable. But at worst it can mean hypothermia, frostbite, and other serious injuries. Keeping your core warm will keep blood flowing properly to your hands and feet, thereby helping your body temperature stay warm in a safe range. This is why one of the most important apparel investments is a high-quality jacket that is rated to handle whatever winter conditions you’ll be exposed to. Two big names with one of the higher quality jackets are Canada Goose and The North Face. Both brands’ winter jacket selections are impressive, similarly priced (on the high end), and popular for casual as well as sport wear. However, there are a couple differences between these two apparel companies that could lead you to prefer one over the other to stay warm. Which Company is for You? You could say that the Canada Goose brand is to Canada as The North Face is to the US. That being said, there are Canada Goose retailers throughout the US, particularly in the North. In particular, Amazon now has a robust selection here of Canada Goose jackets. The reason for this comparison is that Canada Goose is considered a “luxury” outdoor apparel brand, similar to how The North Face is labeled. 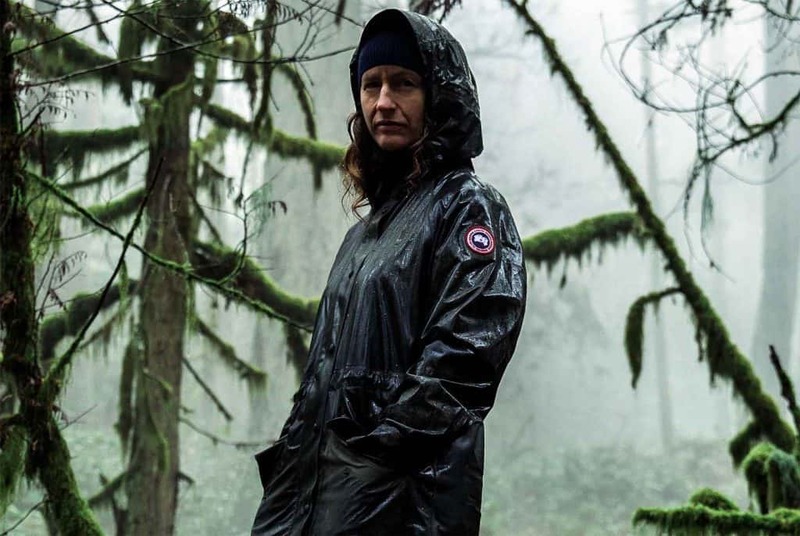 Canada Goose had very humble beginnings, having been founded nearly 60 years ago in Toronto. They originally specialized wool vest, raincoats, and suits designed for snowmobiling. In the ’70s the company changed to the “Canada Goose” name we know now as they began using goose down heavily as a fabric in their jackets. They’ve continued to grow tremendously, reaching numerous milestones all the way up to 2017 when they released a groundbreaking merino wool knitwear line specifically designed for active use. These would be your basic winter jacket for milder extreme cold temperatures or to layer with a heavier jacket. All Canada Goose jackets have at least a 675 fill, including the models in their Lightweight Down line. There are a total of 18 jackets – including standard zip ups and models with hoodies. You can find a price tag between ranges from $495 to $775. Coming in at $495 is the Brookvale Jacket. It comes with an 82% recommendation rating from customers and has a Thermal Experience Index (TEI) rating of 30F/5F. 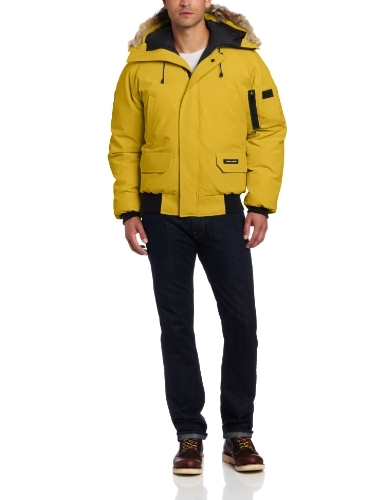 The HyBridge Perren Jacket retails for $775 and is more suitable for polar expeditions, outdoor sport or active use. It has the same 30F/5F TEI rating as the Brookvale, but a higher 800 fill power to keep you cozy. The Bomber category is a bit more stylish and less bulky in design. Don’t let this fool you into thinking they are less capable, however. There are 7 different jackets in the Bomber line – including 2 traditional zip up bomber jackets, 3 parkas, and 2 classic real fur hood bombers. Pricing ranges from $395 to $925. The $395 Faber Bomber has a vintage look to it, but performs as a breathable lighter weight version of their renowned Chilliwack Parka. This model is windproof, perfect for cold air, super water resistant, and exceptionally durable. Its TEI rating is 40F/25F. For a real investment and higher quality, you can opt for the Wyndham Parka, with a $925 price tag parka that has the appeal of the classic Bomber jacket. The TEI rating is 15F/-5F, making it a fashionable but seriously warm and cozy jacket option. When absolute warmth and protection from the elements are the primary concerns, you can’t go wrong with the jackets in the Parka category. Canada Goose has a total of 25 different models in their Parka category – including 2 jackets, 1 coat, and 22 true parkas. Pricing here starts high, at $775, and goes all the way to $1,550. The Summit Jacket is as warm as you’d expect any winter parka to be. With a TEI rating of 5F/-15F, this jacket can handle arctic winter conditions with ease. It remains very lightweight and durable, complete with a 750 fill of white duck down. For maximum insulation there is the Snow Mantra Parka. This is a very expensive winter parka, but one that comes with a 96% recommendation rating by serious mountaineers and researchers. The TEI rating is at the Extreme level which is -25F and Below. This jacket has been worn in Antarctica and has been referred to by fans as the “warmest coat on earth”. Surprisingly, it’s not that easy to find Canada Goose Jackets online. Let alone for a good price. Since I can’t stand Mall’s and Shopping Center’s, I’ve created a little “cheat list” below of the most reliable online retailers fro Canada Goose (at the best prices). Amazon: Amazon actually has a convenient “mini-storefront” with all of the popular Canada Goose jackets here. MooseJaw: They actually have a very reliable selection of Canada Goose jackets here. Definitely worth checking out. 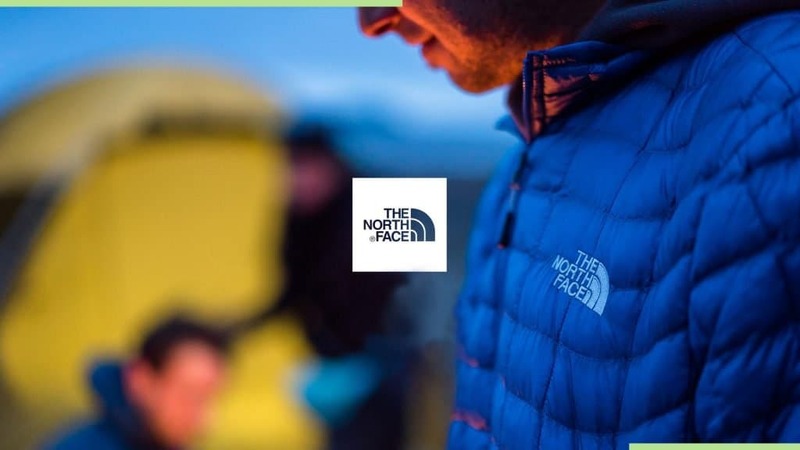 The North Face (TNF) is probably one of the best known outdoor apparel brands in the United States. It’s often considered a higher end brand, being that it’s a bit more expensive compared to others (i.e. Columbia). However, compared to Canada Goose, TNF is quite competitively priced and is worth investing in. TNF has a number of different jacket categories, but to most accurately compare it to Canada Goose, the Insulated & Down category will be the focus. 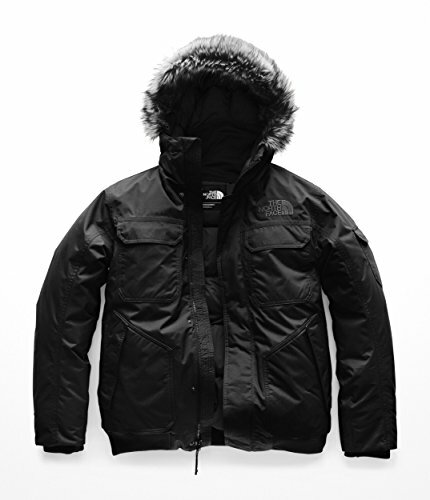 There are a total of 21 jackets and parkas offer by TNF, which include standard jackets, true parkas, and hooded jackets. Pricing ranges from $160 for their entry level Aconcagua Jacket to $800 for the Cryos Expedition GTX Parka. When it comes to comparing individual jackets you’ll often see TNF’s Gotham Jacket versus Canada Goose’s Chilliwack. Both are super warm and stylish bomber style jackets. The Gotham retails for $299 to $319 while the Chilliwack retails for $825. The Gotham comes in 5 different colors and features a faux synthetic fur hood lining and leather fabric – which can be important for those that don’t support real fur. You have here a synthetic option that will keep you warm and dry. The Gotham is insulated with 550 fill goose down and is one of TNF’s warmest jackets. The Gotham is also waterproof while the Chilliwack is water resistant, so you will not be worried of getting wet with them. Both block wind and cold air fairly well and have hoods. The Gotham is a bit more versatile in that the hood can be detached if needed. All things considered, the Gotham is an excellent deal, offering the same functions as the Chilliwack but at about half the price. The North Face has an incredible reputation and a proven track record. Though they might not be considered a luxury brand like Canada Goose, they will likely always be one of the most trusted brands to buy outdoor apparel and other gear from. Amazon: You can also fine The North Face jackets online at Amazon here. However – unlike Canada Goose – there’s no easy way to view the entire storefront and it’s a bit of a “hit or miss” experience. If you have a jacket finalist, it’s worth checking Amazon first, but they may not have the size or style you want in stock. MooseJaw: Moose Jaw (recently acquired by WalMart) has a VERY reliable selection of TNF jackets here. I almost always find the size and color that I’m looking for and the prices are comparable to other online retailers. REI Outlet: While you might not always find the best price at REI, their REI Outlet selection of North Face jackets frequently features deep seasonal discounts. Check these TNF deals before you buy. They may not have the specific jacket you want available, but if they do it’s typically a bargain. Deciding between buying from Canada Goose or The North Face really comes down to two main factors – how much you’d like to spend on a jacket and how resilient you realistically need your jacket to be. It’s blatantly clear that Canada Goose is the more expensive brand. If we remove the price tag completely from the equation, it would be hard to find a jacket line better with a higher quiality than Canada Goose. Even the most expensive TNF parka is still less money than the mid-range Canada Goose parkas. Canada Goose jackets are extremely well-made, combining luxury with expedition-quality construction. This all adds up to Canada Goose being the better choice for someone that needs extreme warmth and has no issue spending hundreds of dollars to get it. Special Pricing Note on Canada Goose: If you ARE going to go with a higher end Canada Goose jacket, please (I repeat – please), check the product offerings here on Amazon. In my experience, it’s a MUCH better than the full retail prices in stores. That being said, The North Face still produces some of the best winter sports jackets on the market. They are less money and come in a wider variety of colors. They are also very long-lasting, with many getting a decade or longer of use out of theirs. Although they might not be suitable for an expedition in the Arctic, realistically that level of insulation isn’t needed by the vast majority of people.